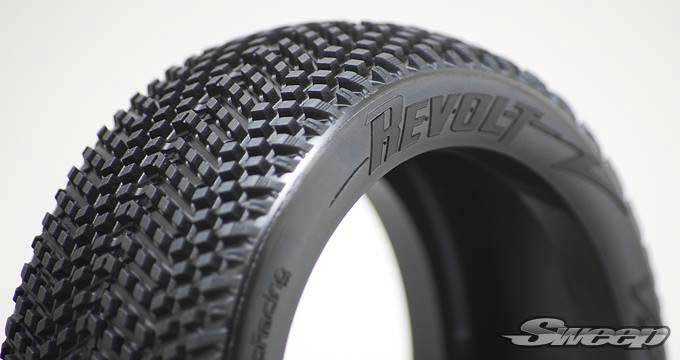 Sweep Tires 8thth scale off road tires REVOLT sw-310 sw310, we got you all covered! Directional tire to bring most gripz! 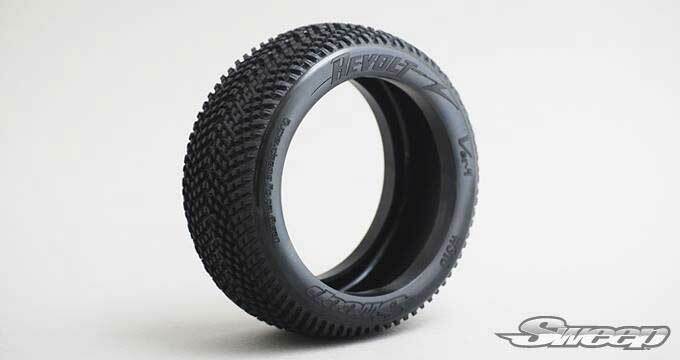 The new tire features an all-new ?Ver.4â€² shape to provide minimal ballooning during acceleration for a more precision feel, the tyre sports a pair of centre pins that are completely connected at the base of the inner V-shaped pattern for maximum forward bite. 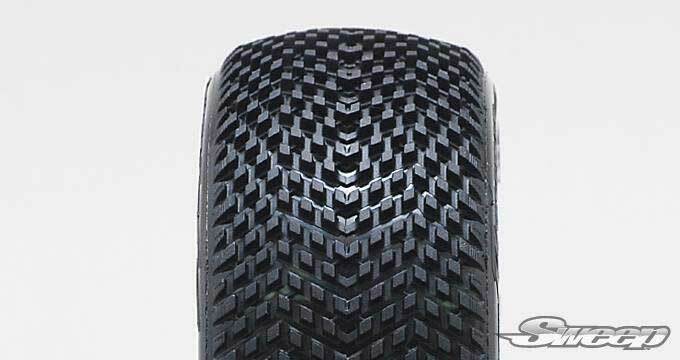 The unique W-pattern of the pins across the tire provides smooth or aggressive steering feeling depending on the rotation direction. 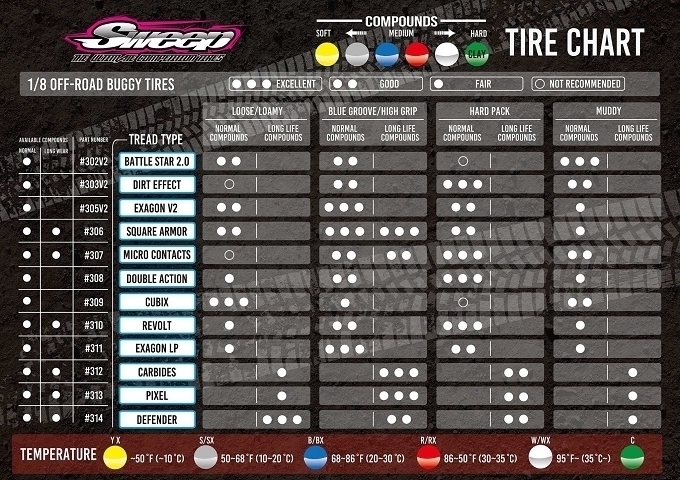 The pin size of the tyre is a little bit smaller than with the Square Armor and its height is as tall as the company?s Battle Star 2.0 with less spacing between pins for improved forward bite while providing smoother cornering feeling thanks to the optimal pin flex that also makes for longer tread life time.